Edinburgh has been chosen as the host city for a global life sciences conference which explores the links between animal, human and environmental health – with the aim of reducing infectious disease outbreaks. Scotland’s capital will welcome more than 2,000 delegates to the 6th World One Health Congress in 2020 – injecting £3.3m into the local economy and boosting the city’s reputation as a global life sciences hub. The event, which will be staged over four days, was secured on the back of a competetive bid process between rival European cities, who cannot be named for reasons of confidentiality. 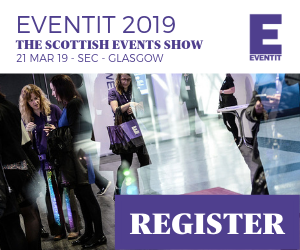 Convention Edinburgh, Edinburgh International Conference Centre (EICC), the city’s medical and veterinary community and Scotland, worked on the electronic bid, followed by two site visits to the city, which were “key” to securing the conference. The results of the bid process were announced in June at the organisation’s conference in Saskatoon, Canada, and Convention Edinburgh organised a piper to mark the occasion. One Health is an international movement that aims to ‘attain optimal health and well-being for people, domestic animals, wildlife and the environment, by bringing together various disciplines to make a difference to society and the lives of people’. The organisation aims to enhance understanding of and preparedness for current and future outbreaks of infectious diseases in humans and animals, such as Ebola, including the ecological and environmental factors which impact on these diseases. 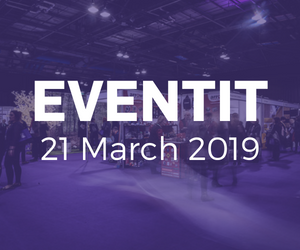 The event is an opportunity for Scotland to spotlight its sector expertise and ‘world-class’ research, which is delivering solutions to global challenges within livestock industries, and veterinary and human medicine. On behalf of One Health Platform (OHP): “The One Health Platform is very much looking forward to working together with Scotland’s research institutes, the Scottish government, the EICC and Marketing Edinburgh on making the 6th World One Health Congress a big success”, says Prof. Ab Osterhaus, OHP co-chair. The 6th World One Health Congress will take place from 15-18 June 2020 at the EICC.